What ya see when you walk in. Shoes, a huge log from the mountain (procured legally from our friend Tom, who lives up there), a huge red rug, and our pedal display. Well, we’re 95% there. Our renovation took lots of time, loads of effort, and tons of help from our friends. It’s almost where we want it, and it’s close enough to a finished product to show off. We wanted more space to display things in a more compelling fashion. Saturday: 10-6. Company Reps will be stopping in to show off product and give away cool stuff. 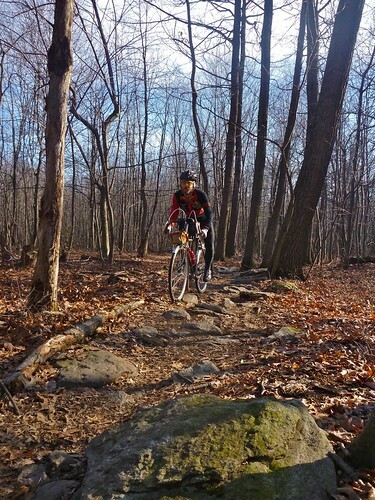 Good day to demo saddles on your own bike, or to check out new offerings for 2012. Hot dog! Look at how bright those jerseys are. Around 12, Team Flying Dog will be setting up shop and grilling some dogs (veggie and not so veggie) and flipping some burgers. In the afternoon, some friends are gunna come by and play some records you haven’t heard for a while. We’ll have some food to nosh on, maybe try out some power food. Saturday evening, after we close, we’ll break out some adult beverages, and listen to some local rock band play really loud music in a small space with no sound damping. Brantonio Branderas as "The Don of the Knuckle Buster"
Sunday: 11-5. More of the same from the day before, but a day later, in case you couldn’t make Saturday. Watch our facebook page for details about who will be here, at what times, rep wise. Sunday evening, at 5.30, we’re going to have a series of group rides, including 2 mountain rides in the Watershed, and 1 or 2 road rides. Basically there will be a hard ride, and an easy ride, for both. The hard mountain ride will be led by Brian, and will be fast, lots of climbing, and lots of tech stuff. Team Flying Dog will lead a more chilled out mountain ride with less climbing and slightly less rocks. That said, it’s the Watershed, so know what you are getting into. Spare tubes and a way to inflate them are a must. 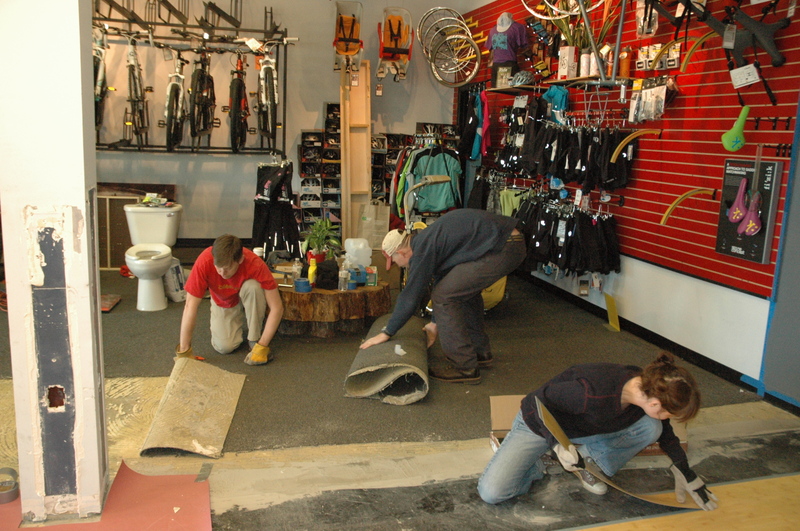 Road rides will leave from the shop, and mtn rides will drive up to the ‘Shed. The easy road ride will be under 30 miles, and feature no major climbing. We’ll be on some busy roads though, so be ready for that. The harder road ride will be longer, and have some dirt roads, and some nasty climbing, but won’t be fast, at all, super leisurely, just longer, and harder. Definitely bring a tail light for that one, maybe a head light too. If you are a follower of this blog, you know that sometimes these rides get a bit epic. We’re going to do tent sale pricing for this weekend on in stock stuff only. No special orders applicable! Say you read about it here, or on facebook, or wherever you read it, to get the discount. If you don’t say it, no discount! 10% off bikes under 1000, 8% off bikes over 1000. 15% off accessories in stock. Still have huge deals on shoes and clothes kicking around, so lap those up. Remember, say you read about it here! 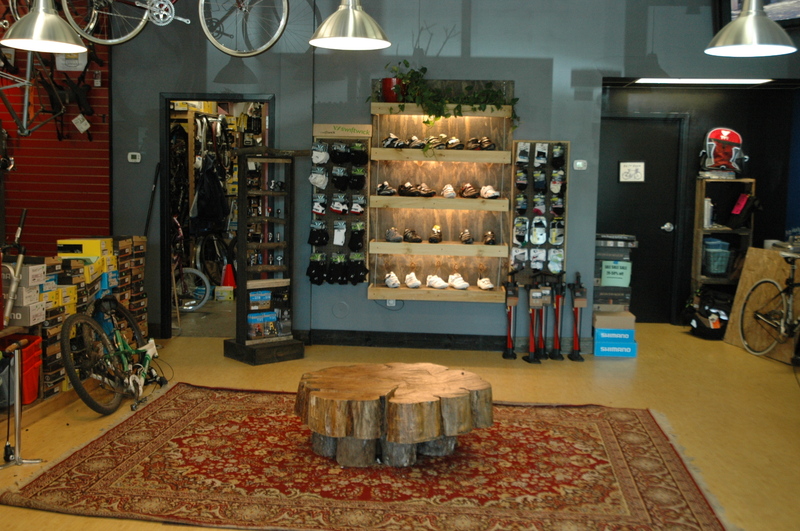 Shop rides for this week: Wednesday Climbing ride with Brian. Fastish pace, but not outlandish. He’ll take you up the mountain, down, and back up it. It’s a no drop ride, so see if you have the legs for it and come on out. Everyone regroups at the top, and no one sneers at the last up. Rides start at 5.30 from the shop and go till dusk. Bring a tail light to be safe. Sunday evening shop rides: 3-4 this week. Two mountain rides, meeting at the shop at 5.30, and one hard and one easy-ish, and possibly two road rides, depending on who shows up. Either an easy one, or just a big long tougher one. Nothing race pace, at all, ultra relaxed. Be prepared for mixed surfaces. Really, they aren’t hard, we’ll show you how. bike adventure, bike doctor in the world at large, clinics/shop events, Dirt Road Riding, Dirt Roads, Frederick Bicycle Coalition, Frederick Epics, Frederick Riding, mountain biking, The DonBranDon, Things you should be into, Walking up hills, what's your epic?back woods action, bike adventure, bike doctor, bike doctor frederick, bike doctor shop action, Brantonio Branderas, dirt roads, dirt roads in frederick county, DonBranDon, epic, frederick, Grand Reopening, Group Rides, what's your epic?